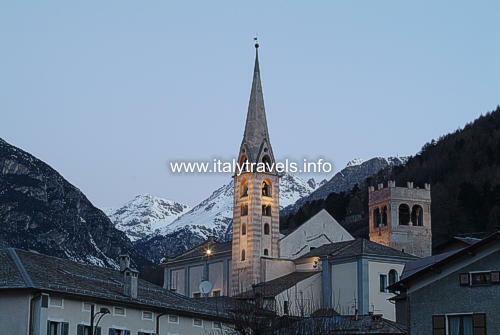 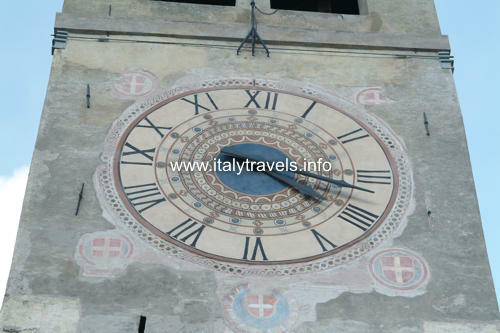 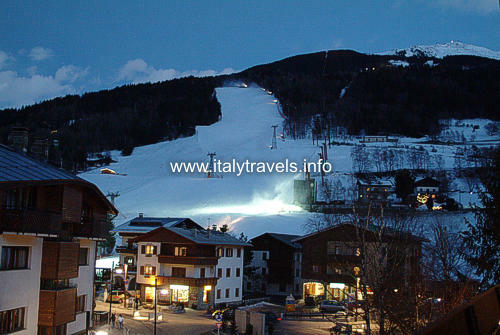 Bormio lies in a wide and luminous valley, encircled by mountains, where four valleys meet: Valdidentro, Valfurva, Valle del Braulio and Valdisotto. 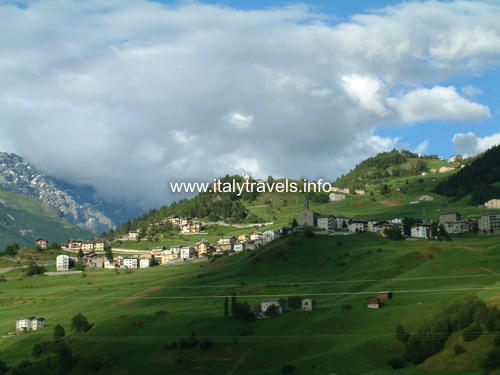 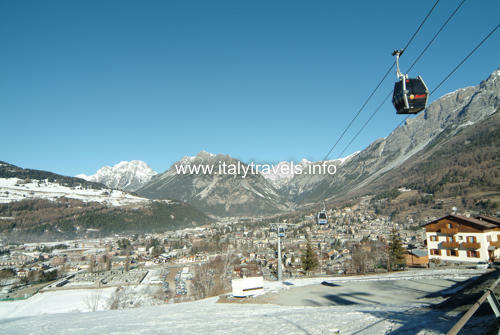 Bormio is an important touristic destination. 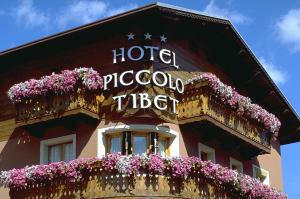 The tourists are attracted by its traditions, due to centuries of history, by the typical food and wines. 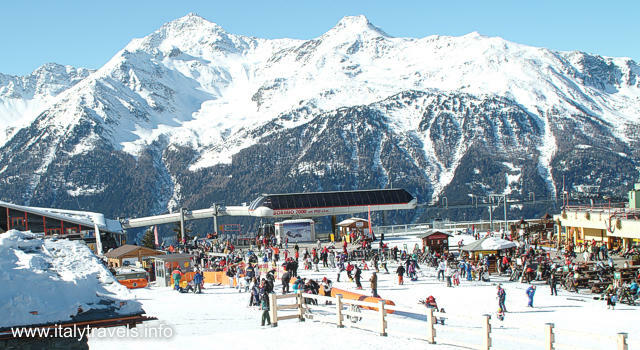 Most part of the local touristic industry is based on the winter sports, from ice-skating to sleddog and snowboard, but above all the alpine ski, that can be practiced also during the summer on the nearby glacier to the Stelvio Pass. 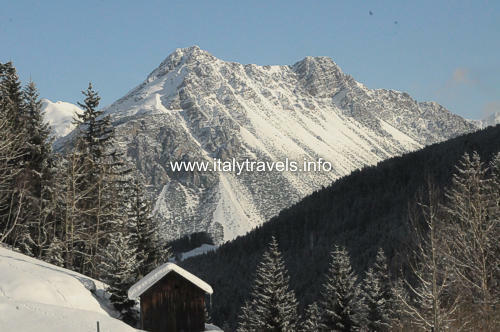 The tracks of Bormio are famous all over the world and every year in December on the Track " Stelvio"v there is a contest (downhill) of alpine ski championship; the " Stelvio" is considered the most difficult track of the world-wide ski circuit, but in Bormio there are beyond 80 km of tracks that offer every kind of run, also for those who are not expert. 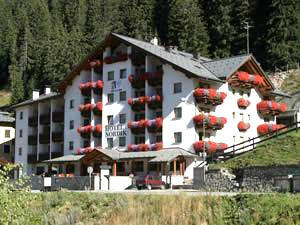 Among the summer sports, here you can practise mountain biking, climbing, golf, fishing and horse-riding.